Hopelessly Devoted Bibliophile: An oops for me, savings for you! So....I own a copy of this book already, but apparently when I went to order The Hunger Games that thought escaped me! Now I have two brand new, shiny copies...and I only need one. 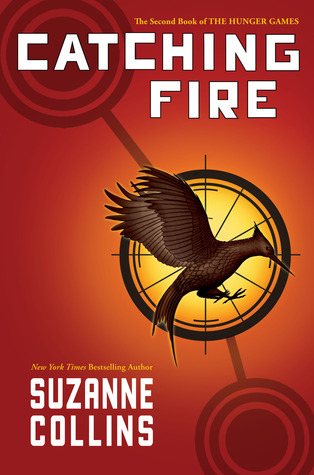 Does anyone out there in blogger land need a Catching Fire copy? I'll sell it to the first person who emails me for $6 plus $2.50 shipping to anywhere in the U.S. Brand new book for only $8.50! It's over $9 on Amazon right now. I just want to get a little bit of my money back so that I can order The Hunger Games and complete my set :). Let me know!